The hugely successful and popular Soundcraft LX7 console has received an upgrade to the LX7ii — both..
Soundcraft's MFXi mixers are compact and ideally equipped for live sound applications including fixe.. The Signature 10 is a high-performance 10-input small format analogue mixers with onboard effects. I.. 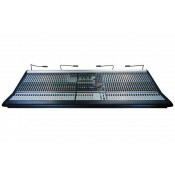 The Signature 12 is a high-performance 12-input small format analogue mixers with onboard effects. I.. 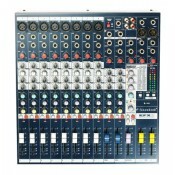 Drawing on over 40 years experience in live sound mixing, the Signature Multi-Track mixers bring tog.. The Signature 16 is a high-performance 16-input small format analogue mixers with onboard effects. I..